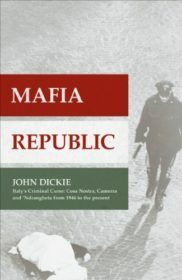 John Dickie is Professor of Italian Studies at University College, London. 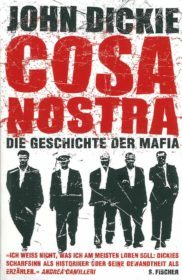 Hodder published his Cosa Nostra: A History of the Sicilian Mafia in 2004, to ecstatic reviews. It became an international bestseller and won the CWA Dagger Award for Non-fiction that year. In 2007 he published Delizia! 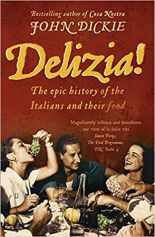 The Epic History of the Italians and their Food which won the 2014 Giovanni Rebora prize, received special commendation in the 2007 André Simon Food and Drink Book Awards, and was voted the best food and drink book of the year by Lire magazine with RTL. 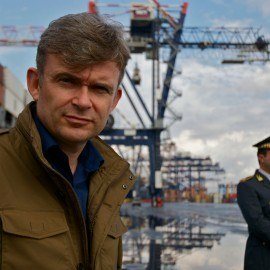 In 2016 John presented and co-wrote a six-part TV series based on Delizia!, which attracted big audiences round the world and was History Channel Italia’s second most popular programme of the year. 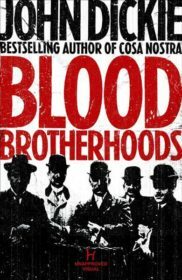 MAFIA BROTHERHOODS: Camorra, mafia, ‘ndrangheta: the rise of the Honoured Societies, was published in June 2011 and Mafia Republic: Italy’s Criminal Curse: Cosa Nostra, ‘ndrangheta and Camorra from 1946 to the Present published in June 2013. His forthcoming book, The Craft, is due to publish in 2020.